I love reading. There is nothing better than curling up with a good book on a cold fall evening. Also, due to recent schedule changes, I'll have more time to do so in the near future (hooray!). I live right across the street from a library, and although I go there at least every couple of weeks, finding perfect books is hard. I'll be honest- I have to be pretty sucked in to love a book. 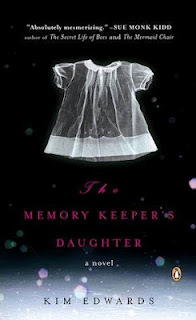 Right now I'm reading The Memory Keeper's Daughter which is fantastic so far (I'm only about 35 pages in). My question for you: what is your ABSOLUTE favorite book that you have read that you just couldn't put down? I need some suggestions. I have a bunch of favorites - I just talked my boss into reading the Adventures of Kavalier and Clay and he really enjoyed it. I also have recently loved American Gods, The Thirteenth Tale, and The Story of Forgetting. I have way too many books that I love to put them all in a comment to a blog post. Alas. I recently read The History of Love by Nicole Krauss, and it was all kinds of amazing. Also read Home by Toni Morrison, and it was divine. So beautiful. I need to add this to my list! I just finished reading Delirium & Pandemonium by Lauren Oliver. it's a triology and the 3rd book doesn't come out until spring 2013. They were great though - very similar to Hunger Games style. My most recent favorite has been "Jane Eyre." Yes, it did take me until my 25th year in life to read it because I thought it would be b-o-r-i-n-g. I was wrong. *sarcastic shock* Haha. I just read Telesa by Lani Wendt Young! Amazing! I have to echo Jane Eyre and I am reading the Amazing Adventures of Kavalier and Clay right now! I love Peace Like a River by Leif Enger and The Road by Cormac McCarthy. I guess my most recent favorite was The Perks of Being a Wallflower by Stephen Chbosky. I listened to the audiobook and the narrator was really good. And if you're in the mood for something fun, The Princess Bride is brilliant and even better than the movie if that's humanly possible.